Discipline is essential to running a proper business. The most successful business owners have great habits. Whether checking inventory at the end of the day or following up on each and every email before closing up shop, it’s the little things that make big differences. You need the same kind of discipline when managing your online ratings and reviews. While some business owners may think they don’t have to deal with what happens on rating-and-review sites, they’re wrong. They do. Yelp processes 26,000 new reviews per minute, and customers pay more attention to them than ever before. You need samurai-esque discipline when it comes to managing your online reputation. The Manipurated Code of Conduct can help give you that katana-sharp edge. 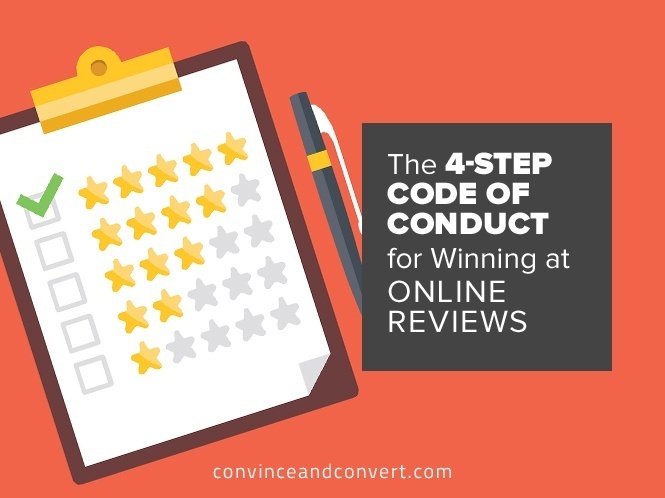 By following these four simple rules, you’ll see steady improvement in your ratings and reviews. The first step of discipline is consistency. This means checking your ratings and reviews sites every single day. At first, this may seem like overkill. But keep in mind that studies have shown even a one-star bump in your Yelp rating can contribute up to 9% more sales. For restaurants, that figure is even higher—a half-star improvement in your Yelp rating can lead to a 19% increase in peak-hour bookings. With numbers like that, how can you not manage your reviews daily? If you’re not getting updates daily, make sure you do. Encourage customers to rate your business. Give them some incentive (a simple discount or $5 gift card works wonders). More reviews add up to a better search ranking—both in Yelp and on Google. There is nothing trivial about online reviews. The reviewer may be trivial (absurd, even), but the review is what matters. Did you know that a small minority of “Elite Yelpers” (yes, that’s a thing) rank higher on Yelp than the majority of regular reviewers? Their reviews, good or bad, are often featured at the very top of the page for any business they’ve reviewed. So even if you have fifty five-star ratings, a single one-star rating from an Elite Yelper can make your Yelp page look much less appealing. As hip hop tells us, “haters gonna hate.” So it’s best not to let them get you down. Stop yourself (and your ego) from taking it personally. Drop any desire to respond from a place of anger or pride. This is business, after all. Roll with the waves. Sometimes you’re riding the crest, sometimes you’re being tossed around underwater. An objective mindset is essential for overcoming negative reviews. Respond fully and personally to each and every review that you can, especially the negative ones. Make sure you address each and every concern that you can. And if they’re positive reviews, make sure you thank the reviewers for their patronage. When you start to become lazy and complacent, that’s when you start making errors. People know a half-cocked response when they see one. The takeaway is to always treat your customers like customers. Show you’re not some evil corporate dictator. You’re a human, and you care about their human feelings.